NTRW Season 2 Ep 5 - Bone & Joint Health | Nutrition That Really Works! 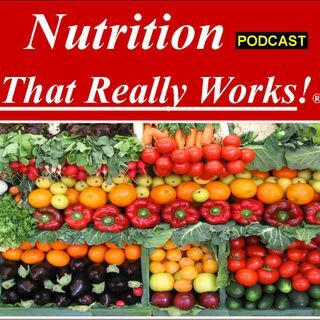 Desde: Nutrition That Really Works! Join us for the National Conference of Traditional Medicine on May 3-5, 2019 in Markham, Ontario, Canada. Details at Eventbrite.com or at BGangel.com - Today we discuss how to keep and maintain healthy bones and joints. Are your bones and joints as strong and healthy as you would like? Natural aging often affects your joints and bones and is common in older populations. Like all living tissue in your body, your bones and joints need high quality nutrients to perform their best. In addition to a ... Más informaciones nutrient-dense diet and regular exercise, we also recommend taking an outstanding bone/joint nutritional formula each day, such as Premier Research Labs', OsteoVen. This comprehensive formula provides premier support for healthy bones, joint function and connective tissue. Please read full disclaimer at BGangel.com No medical claims are being made, information presented has not been evaluated by Health Canada or the FDA and is not intended to treat, cure, prevent or diagnosis any disease.